In 2016 Dave and I ran a little scheme we called Secret Breakfast Sandwich Lunch Club (SBSLC). One day at work I had become incensed that I could not get a fresh, delicious, best-in-the-world breakfast sandwich at 11am. NASA Ames was a food desert in 2016. I recalled eating breakfast sandwiches daily in the mid-morning in highschool. "I am an adult and I deserve a breakfast sandwich!" So I bought a brand new, made-in-america, vintage, electric hotplate on Etsy as well as some tomato shaped salt & pepper shakers. I brought in a cast iron skillet, cutting board and spatula from home and we were in business. Your browser does not support the video tag? 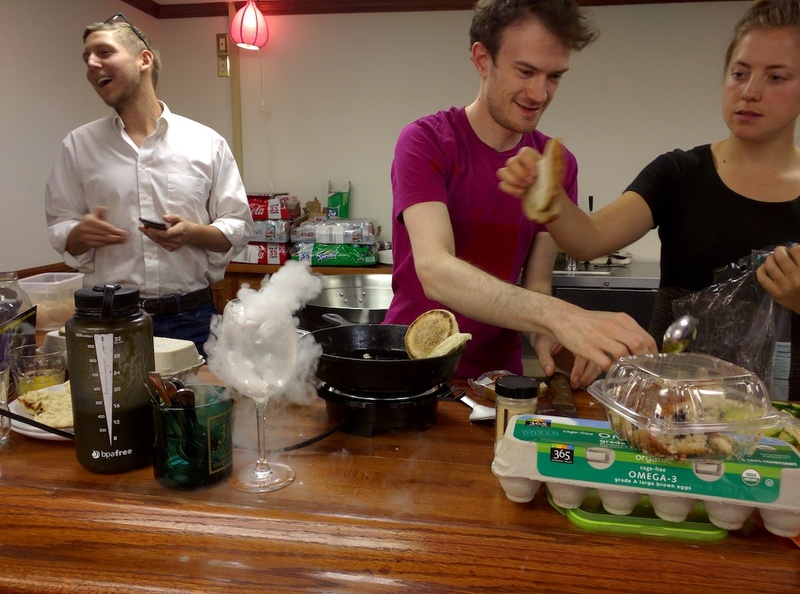 And so it was that Dave and I would occasionally post up in the office 'bar' and crank out breakfast sandwiches. I would get the griddle going while Dave sprinted around collecting plates and utensils. Anyone who happened to sniff us out walking down the hall was welcome to a sandwich for free (suggested donations helped cover the cost of our Good Eggs order). 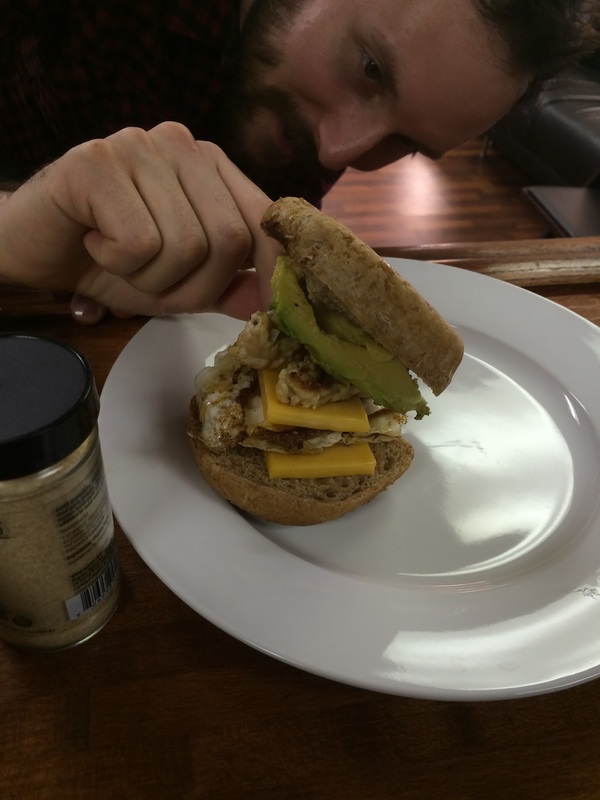 The sandwiches would usually consist of an english muffin, smoked goat cheddar cheese, egg, and avocado (never meat). here you can see some good fun with the dry ice that Good Eggs packed the gelato with. Also Tim who would also help put SBSLC together and Grace. Once we started getting some notoriety around the office and the Valley at large, we started an email list for those in-the-know to get the early sniff of an upcoming SBSLC. Here you can see Dennis and Francesca meeting for the first time at an SBSLC. We're all on a phone plan together now so what do ya know. patrons 12/2/2016 Dermot, Dave, David Scotton, Francesca, Brett, Barb, Carin attended no food, Vivian, Jemma from Finance, Adam, Dennis, 2 sandwiches total.